A stylishly chic coffee table, in particular, has some bigger impacts on overall living room decors and beauty! If we discuss about it uses, they just never come to an end! Long gone are the days when it was really hard to access the suitable styles of coffee tables! The prices are higher enough for sure but pallets have made it really easier to bring some spectacular table designs in home in no time and even at no-cost, is not it a great blast of good news? 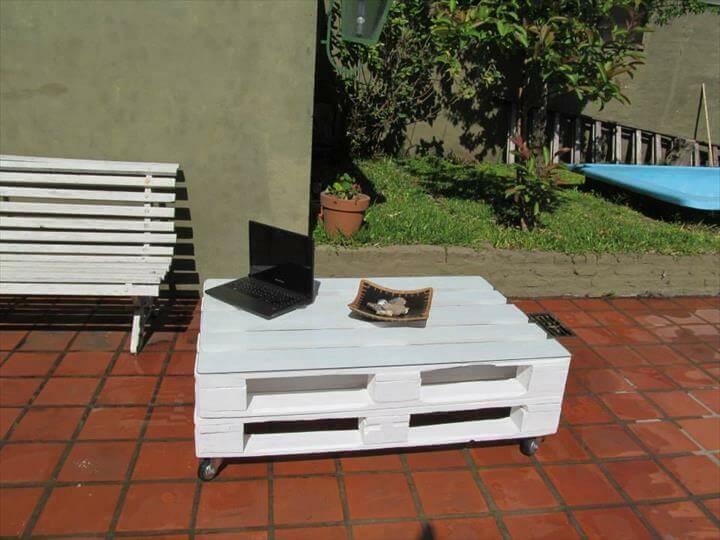 If you go handmade with pallet you can really add real and valued comfort your current boring life! 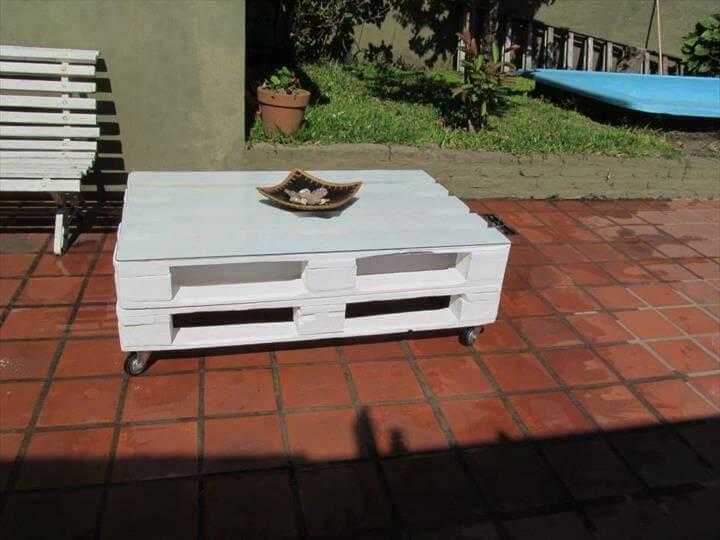 This chic white version of DIY wood pallet coffee table is enjoyable with all those features which have sorted out in an industrial style of coffee table but in matter of stability it can even beat those manufactured table designs! No excess of effort or budget is needed to create this damn beautiful and industrial look of wood pallet coffee table, simple stack two pallets with their bottom facing each other and finish them with wheels and glass top! Paint will only be required to create personal look and appearance just like the white painted used in this case! your patio and cozier living room interior will surely accept this elegant coffee table with open arm! 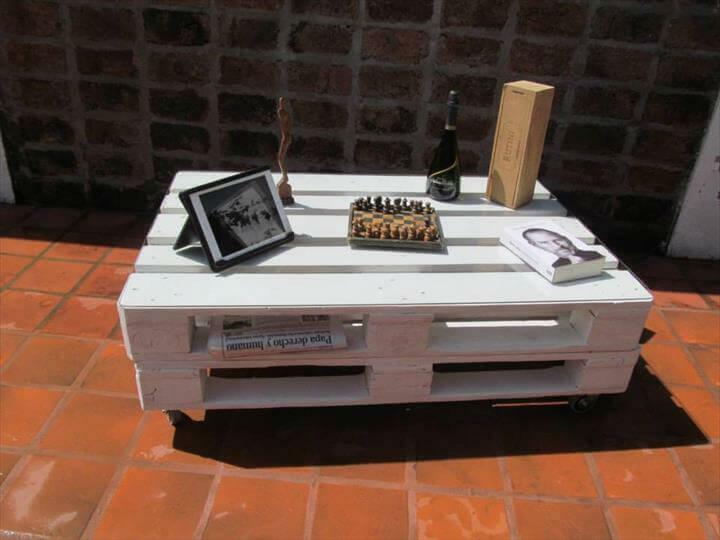 sanded smooth pallet boards have been creatively stacked to shape up this perfect table delight! this dainty wooden furniture piece have been raised on wheel and glass top can entice any onlooker by its beauty!